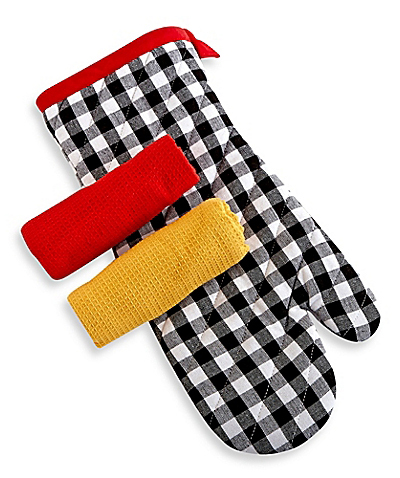 This Checkered Oven Mitt and Dish Towels Set includes a black & white checkered oven mitt with red accent. Inside the mitt are 2 waffle weave towels, in red and gold. $12.99. Buy here.